After hostilities began in 1775, trade with England virtually ceased. Soon there were acute shortages of traditionally imported goods. As best they could, Americans started to produce needed items which they had previously been prohibited from making. They also began to smuggle cannon and gunpowder and other war supplies through the West Indies into American ports. To protect the American ships and to battle British naval forces, the colonies formed the United States Navy. 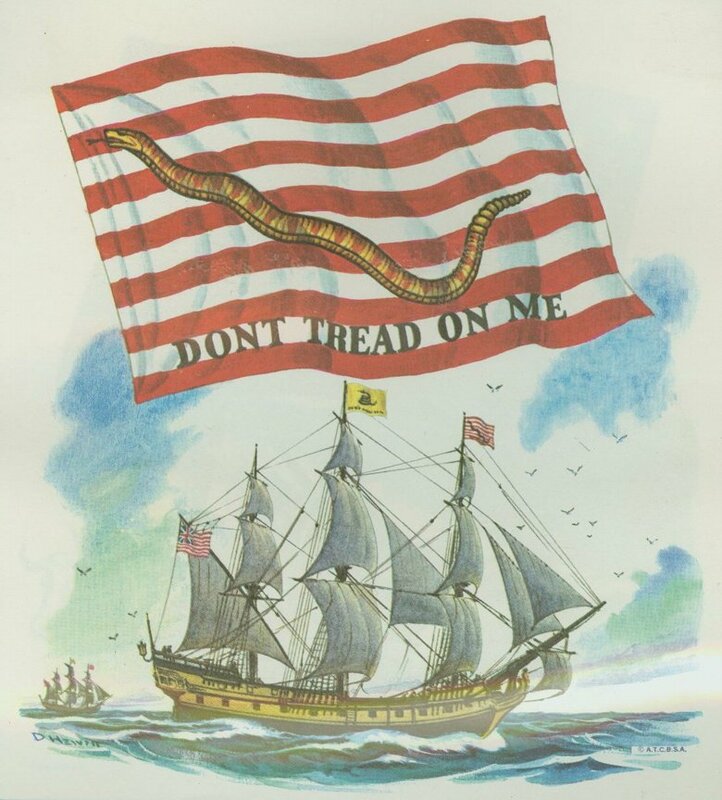 One of the first flags flown by our Navy may have been an adaptation of the "Rebellious Stripes" created at the time of the Stamp Act Congress. It featured thirteen red and white stripes. Stretched across them was the rippling form of a rattlesnake, and the words, DONT TREAD ON ME. First hoisted by Esek Hopkins to the main mask of the Alfred on December 5, 1775. The Alfred was the flagship of the newly commissioned Continental Fleet. 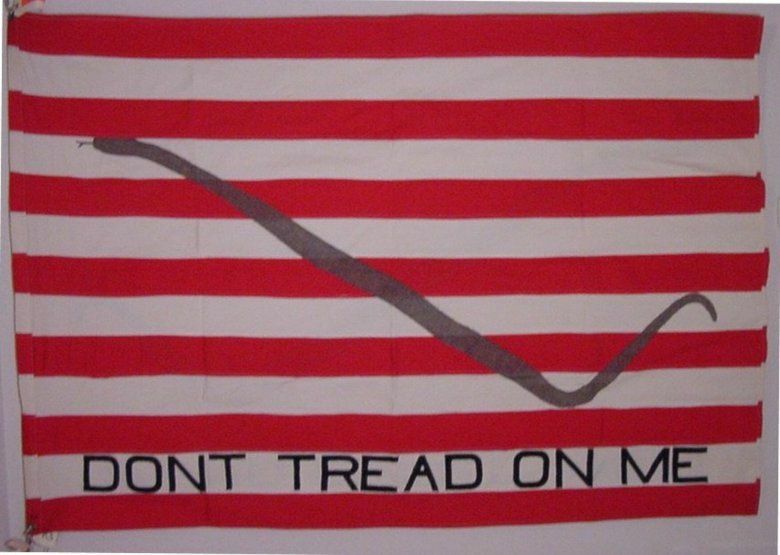 American ships used the flag throughout the Revolutionary War. The Grand Union flag (R10) was the principal American naval ensign during the first phase of the Revolution. The relatively small size of the American naval forces resulted in the use of only a small number of naval flags. The original flag was made of silk.